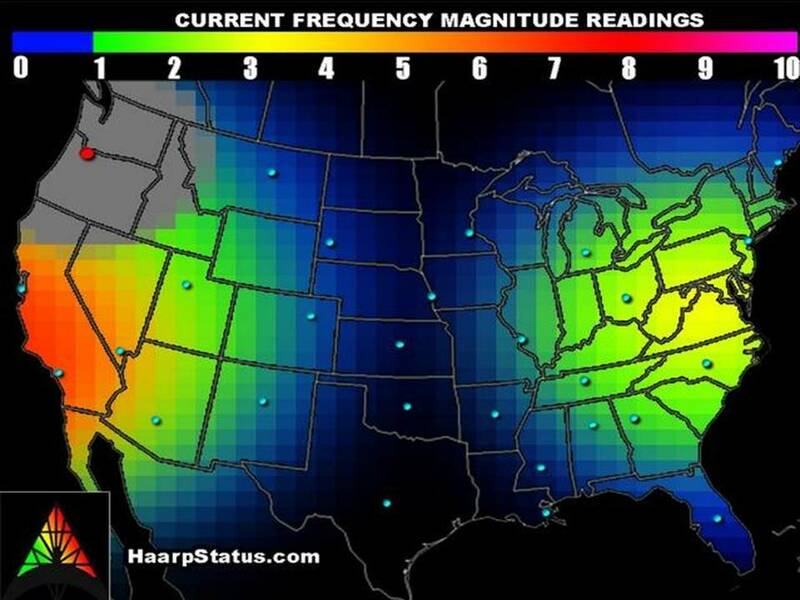 HAARP attack on East and West Coast USA? The HaarpStatus.com is a one page real-time monitoring using a network of sensors that are placed in homes of volunteers throughout the United States. These sensors can detect the frequency of HAARP on the ionosphere. Almost the entire east coast of America to the Far West and to the New Madrid fault now have high counts, with size measurements in the frequency range from 5 to 7 *. The signals in the western U.S. were extremely high of October 20, 2012 and remain at high levels in 21 Oktovriou.Ta marks the eastern U.S. calmed somewhat. This program has developed a way to measure the magnitude of change in the ionosphere due to HAARP. This program has developed a way to measure the magnitude of change in the ionosphere due of HAARP. The scale is from 1 to 10. The 0 and 1 is very normal sizes, while anything more than five could be considered moderate and possibly significant, which can change the pattern forecast. Slight change is expected, but overall the weather is not affected. Expected change will happen within a few days as bad weather, unexpected lightning or a tornado. Significant changes are expected. Anything over M7 is rare and wants attention and can expect a great event long. Associated with outbreaks of tornados or can be powerful hurricanes and snowstorms. For those not familiar with HAARP, please watch this informative video on HAARP (High Frequency Active Auroral Research Program). google also billy hayes. if you has the correct question there can be "answers"
fake only lasts so long till light dissolves all.